John Weaver knows clean. During his diverse and successful career, John has overseen the design, construction and operations of more than 25 clean work environments around the world. His projects range from the 60,000 sq. 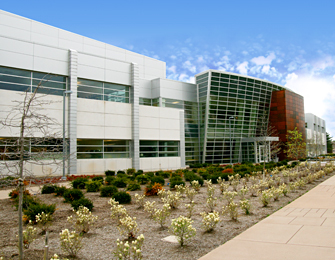 ft. semiconductor facility in Kokomo, Indiana to the new Birck Nanotechnology Center (BNC) at Purdue University, which holds the distinction of being the largest, cleanest academic cleanroom facility in the country. 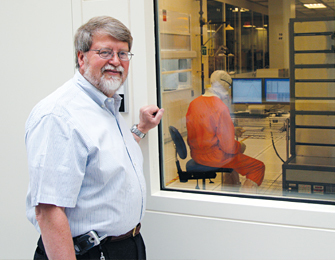 When the time came for John to apply his expertise in the design of the $58 million BNC, the Plascore cleanroom system was a natural choice. Winner of the 2007 Controlled Environments Experts’ Choice Award for Facility of the Year, the BNC comprises 187,000 sq. ft. feet, including offices for 45 faculty, 21 clerical and technical staff, and up to 180 graduate students. At the heart of the facility is the 25,000 sq. ft. Scifres Nanofabrication Laboratory cleanroom. The cleanroom is a typical semiconductor-style, three-floor cleanroom with a subfab level, cleanroom level and air-handling level. A smaller bay and larger chase design reduced initial cost and allows equipment to be bulkheaded through the chase walls, a style well-suited to a research environment. Six bays are ISO 3 (Class 1), five bays are ISO 4 (Class 10), and two bays are ISO Class 5 (Class 100) clean zones. The bay/chase design makes optimum use of the area under filtration, positioning equipment in the chase where lower clean levels are. Easy access for routine maintenance help reduce operating costs. Plascore manufactures several demountable wall systems, most notably the F5075 2″ framed wall allowing attached items and the L2550 104″ liner wall for lining traditional gypsum or block construction walls that often serve as the cleanroom perimeter. Both these wall systems are used in the BNC; the F5075 predominately as the wall separating the bay from the chase. The wall system is mounted to the raised floor utilizing a floortrack and to the ceiling grid utilizing a headtrack assembly. Studs are then attached and panels installed to complete the wall. The walls can be easily relocated to align with any layout of the ceiling grid. While utility manifolding is accomplished below the raised floor, the battens on the back of the wall facing the chase have T-grooves that accept utility mounting and Unistrut brackets. In an environment where the latest, million-dollar equipment is the rule, the ability to attach shelving on the backside of the bay wall is an added bonus. The facility was designed to minimize the cost and complexity of bringing utilities to new equipment; unanticipated equipment installations are common in a research facility. 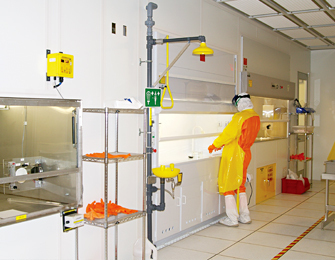 Plascore furnished windows and doors throughout the cleanroom. Special automatic doors were required in certain areas: the wall panels were easily modified to accept the 3rd party doorframes. A significant amount of glass was designed into the cleanroom perimeter and the cleanroom interior walls. John has found this ‘fish bowl effect’ encourages protocol adherence and also enhances safety by making large portions of the cleanroom visible, exposing cleanroom activities without breaching the cleanroom.